At the Naples dental office of Andrew Kaldany, DMD, PA, we provide our patients with dental implants to correct dental issues related to missing teeth. Along with aesthetic problems, missing teeth make it difficult to perform normal daily functions such as eating and speaking. Most importantly, missing teeth causes jawbone deterioration and facial collapse, making patients appear older. Dental implants provide a permanent solution to common problems associated with missing teeth. Dental implants replace missing teeth using titanium roots and ceramic crowns that imitate teeth and look as natural as possible. Titanium is naturally compatible with the body, causing a fusion process called osseointegration, where titanium bonds with and strengthens the jawbone, preventing further bone loss. Dental implants can replace either one tooth or an entire arch of teeth through implant-supported crowns, bridges, or dentures. These implant prosthetics are custom-fitted , making finished seamless and comfortable. We send our impressions to a local lab in Naples so implant restorations can to be made quickly and efficiently . From individuals missing a single tooth to edentulous patients looking to replace their entire set of teeth, dental implants compressively repair smiles. 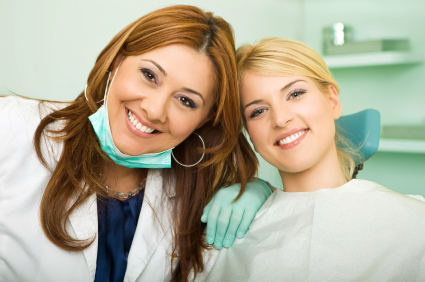 Most healthy patients are excellent candidates for dental implants. However, dental implant procedures require sufficient jawbone density so make sure to schedule a consultation with our office to find out if you’re eligible for the procedure. For more information on dental implants, or to schedule an appointment with Dr. Kaldany to find out if dental implants are right for you, call our Naples dental office today!